This Six Sigma Green Belt training will teach you to help organizations become more efficient and save money. It's aligned with the ASQ BOK, and includes case studies and real-life examples. Certified Six Sigma Green Belt, a popular business management strategy is widely used across industries towards quality and process improvement. Simplilearn offers both online Certified Six Sigma Green Belt training and Certified Six Sigma Green Belt classroom training. Certification training program is aligned with ASQ Body of Knowledge. Six Sigma is a set of techniques and tools which seeks to focus on customer requirements through minimizing variability in manufacturing and improving process quality. Six sigma’s emphasis is on improving the capability of a process rather than controlling product quality. What is the benefit of learning LSSGB along with CSSGB? How will I become a Certified Six Sigma Green Belt professional? 2) For appearing in the examination, please send an e mail at support@simplilearn.com specifying the date on which you wish to appear for the exam. The link of the examination will be shared with the candidate on the exam date. Once the candidate has passed the examination, e-certificate will be shared within 2 weeks. Very informative and helpful for my current role. Nice to know I can learn from any location, I do not always need a professor to learn something new! Thank you! Good course and good content, this is really helpful. An awesome course. Gained lots of knowledge about six sigma. Great material and online study guides. Easy to understand and learn the knowledge about SSGB. The material is well organized, and the examples are relevant. Very nicely done. The course was very comprehensive and far-reaching using real world examples. It also helped to identify how the principles and methods apply to my work and experience. I enjoyed the class and it prepared me to pass the exam. The trainer was great. The trainer has done a wonderful job. He has shared his knowledge & experience. I have learned so much from this training. The trainer has practical knowledge of SSGB. She has the ability to apply real life scenarios and examples. Good material; applicable examples are most helpful. Overall good experience. Course was very detailed and thorough. Instructor has good knowledge on the subject. Lot of information was provided in just 3 days. After my training I have now learnt the inside of the quality for measurement and analysis. I would like to thank Simplilearn team for their exceptional comprehensive training sessions, case studies, tools kits and knowledge that helped me pass the Six Sigma Green Belt examination with a benchmarking score of 99% Marks. The Six Sigma Green Belt Training (SSGB) by Simplilearn is very well conducted and has given me a good understanding of the quality concepts with excellent presentations. During the training periods the Simplilearn staff members are very courteous and other arrangements are very well organized. I would highly recommend Simplilearn to all. Six Sigma is a high disciplined approach that enables organizations to focus on creating and delivering nearly-perfect products and services. The underlying idea being it is if you can measure how many "defects" you have in a process then you can systematically figure out a way to eliminate them towards you moving closer to "zero defects". 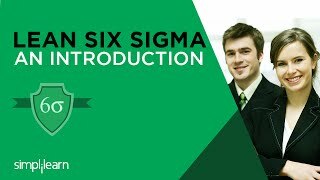 Is Six Sigma all about statistics? Where and how can I access the e-learning content? Is there any limitations? Once you are registered for the course by paying the course fee, you can have 24/7 access to the e-learning content on our website. An automated course purchase confirmation mail from our side will guide you through the process. Does the course fee include the ASQ Certification examination fee also? Do I need to do a project to complete Simplilearn’s CSSGB training? A project is required for course completion certificate, however, it is not required for LSSGB certificate. Yes. We provide a toolkit along with the course package that includes various tools and excel sheets used in the context of Six Sigma. Is the focus of CSSGB technical or management based? Simplilearn’s CSSGB program is unique as it includes the technical aspects of Six Sigma along with management practice. Do you offer any other quality management/quality related courses? Will I get the ASQ certificate after completing this CSSGB course? On completing the CSSGB course from Simplilearn, you will get a course-completion certificate from Simplilearn. ASQ certification can be obtained by appearing for the ASQ Certified Six Sigma Green Belt exam and scoring a minimum of 550 points out of 750 total points.